The Indian diamond merchant is accused of defrauding India's state-owned Punjab National Bank (PNB) by fraudulently influencing bank employees and getting issued for himself Letters of Undertaking (LoUs) worth billions of dollars. New Delhi (Sputnik): Indian jeweller and absconder accused of massive bank fraud Nirav Modi was denied bail by a London court yet again today. He is the main accused in the Rs 13,500 crore ($1.875 billion) fraud case from the Indian state-owned Punjab National Bank. He was arrested at London's Holborn metro station on 19 March after India officially requested the UK for the extradition of the fugitive. BREAKING: UK court refuses conditional bail to Nirav Modi. He stays in jail for now. The multi-billionaire, whose gems adorn celebrities across the world, will now have to continue residing in the jail until 26 April, the date set for the next hearing. News agency PTI says that the next hearing for the Indian fugitive has been fixed through video conferencing. The court, while giving the verdict, observed that Nirav was denied bail on grounds of the high value of funds embezzled and high access to escape. He was denied bail by the Westminster Magistrate's Court for the second time. Today during the procedure of bail hearing prosecution vehemently opposed any move for bail to Nirav Modi. India had made special arrangements to ensure that Nirav Modi does not get out of the clutches of the law, as three of the Indian officials, two from its prime investigative agency CBI and one from the economic watchdog Enforcement Directorate — had reached London for the extradition hearing of Nirav Modi a few days ago. The Indian authorities are pushing for the extradition of Modi from the UK to India to pursue the case in domestic courts. In his first appearance after the arrest, Nirav Modi was produced before a judge at the Westminster Magistrate's Court on 20 March, where he and his lawyers rejected the extradition procedure and also offered 500,000 pounds as security for his bail from the UK court. 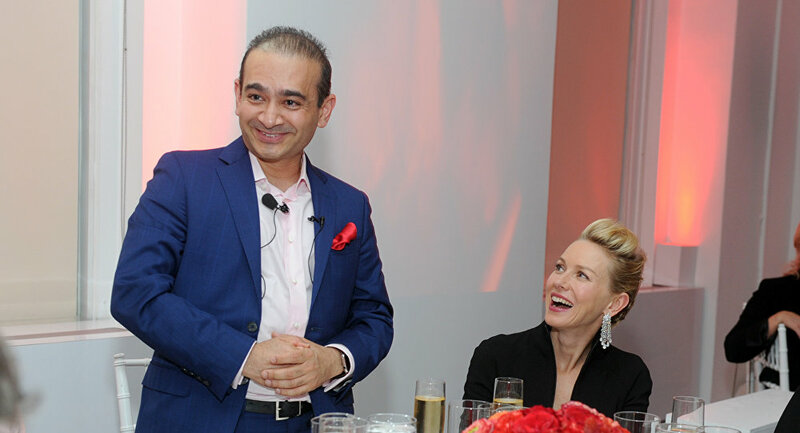 Nirav Modi was sent to Prison Wandsworth after his bail plea was rejected.